What are map regions and how do I add them to my map? Map regions highlight certain geographical areas on the map, e.g., a country or state area. You can add regions to your map by selecting ‘Additions’ then ‘Highlight Regions’ from your map menu. 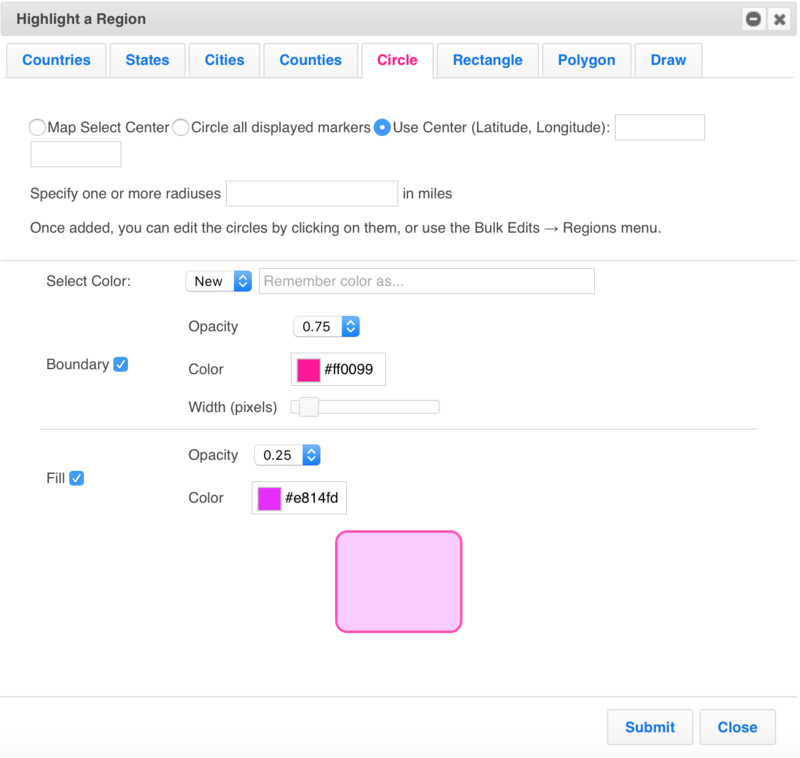 This will give you the following options: countries, states, cities, counties, circles, rectangle, polygon, zip (post) code area, or draw freehand. How do I add a circular radius region to my map? Select ‘Additions’ then ‘Highlight Regions’ from your map menu, and choose ‘Circles’. You can choose a point on your map to be the center; you can circle all displayed markers; or you can enter latitude or longitude data as the center. Then, specify one or more radiuses in miles and customize the appearance (color, thickness and opacity). Hit ‘Submit’.